Review: Curren$y "Pilot Talk III"
Home>Reviews> Review: Curren$y "Pilot Talk III"
Ski Beatz has helped keep the PT series cohesive yet not stagnant. PT 3 has the sense of musicality found in PT 1 and 2, but it's definitely a little grittier and a little jazzier. Curren$y brings a heavy dose of reality and that unique charm in his bars. A worthy addition to the Pilot Talk series. Curren$y preserves the pristine legacy of his "Pilot Talk" series with the long-awaited third tape. No one raps through a stoned haze like Spitta, and the production matches his blunted street philosopher vibe perfectly. It's nothing new, just that same Spitta we know and love. As much as Curren$y has remained consistent in his output of cinematic, night-cruising smoke jams, he always brought something special to the "Pilot Talk" series. As someone who's fallen behind on the stoner auteur's output over the last few years, the LP has successfully recaptured my interest. The third installment of the Pilot Talk series, reviewed. After a near-decade of hustling, Curren$y has finally landed his prominent role in the rap scene. It wasn’t easy work, but anyone who has watched the New Orleans-native go from Lil Wayne’s sidekick to stoner rap’s most consistent contributor will tell you that much. For his third Pilot Talk album, Curren$y didn’t reinvent the wheel, but he definitely refined it. His vision is clearer now more than ever: funny rhymes + some swaggy braggadocio + luxurious production = success. It also equates to a pleasant listen each time. Production is handled primarily from Ski Beatz, who has produced the bulk of the Pilot Talk series. Along with him, Spitta enlists Cool & Dre, Harry Fraud, Jahlil Beats, and Joey Fatts, Curren$y has delivered yet another great album to his catalogue. He goes on to mention making the XXL Freshman cover along with trying to start a business with Dame Dash, but ultimately sweeps the lost hope and failed ventures under the rug, by saying he wouldn’t have changed a thing. It’s something that should be relatable for everyone. The production duo brings the soul back by looping The Sylvers’ “How Love Hurts” on “All I Know.” Their manipulation of a golden music brings a very vintage, funky feel to the album. Flutes and percussion bring depth to the track, with a minute-long instrumental outro providing the exclamation point. 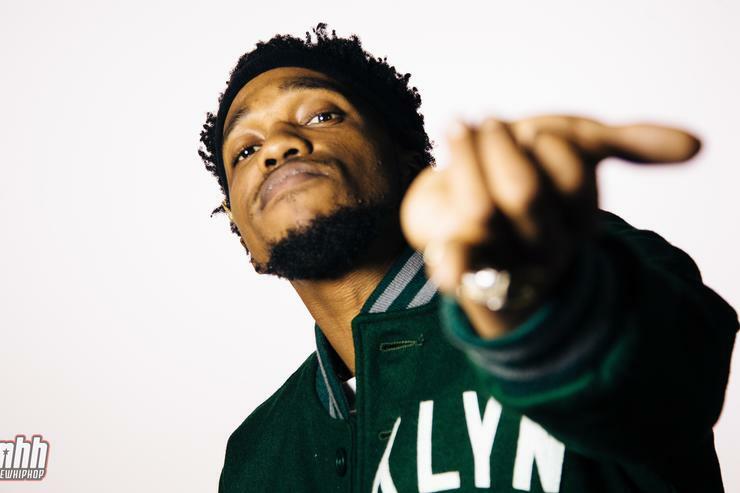 On “Cargo Planes,” Fatts uses a familiar David Axelrod sample that’s been used by Lord Finesse and Earl Sweatshirt, among others. Curren$y spits one of his realest rhymes ever when he says, “Hope for the hopeless / Ain't know it when I wrote it / But my lines saved a man life / When I met him he told me / In a meet and greet line with a jernt.” That’s some pretty heavy information from a dude with a Hot Wheels collection. Of course, the MVP on the production side of things has to be Ski Beatz. His jazzy take on hip hop beats has been making waves for 20 years now, but there’s a certain magic when he links with Spitta. Judging by the productivity of their partnership, they know it too. “Get Down” is sunny and airy, led with finger-happy piano playing and a great bassline. The following “Sidewalk Stars” has an energy vibe like “Touch The Sky,” but with a funky, upbeat style that’s all its own. The fifth installment of “Audio Dope” may be the finest one yet, as Curren$y demonstrates just how he got to the top. What follows, “Search Party,” “Briefcase,” and “Alert,” prove that Ski Beatz is still an elite beatmaker, not that he had to. The features on Pilot Talk III are carefully selected. Wiz Khalifa, a longtime collaborator, appears on a track that will have fans feeling like it’s How Fly II. It’s great to see these two put out quality music together, expanding an artistic relationship that has been six years strong, and counting. Meanwhile, a newer friend that goes by the name of Riff Raff actually delivers an impressive verse on the Harry Fraud-produced “Froze.” Aptly, it's one of the coldest records on Pilot Talk 3. If Pilot Talk III isn’t Curren$y’s best album, it’s right up there. The music is just purely enjoyable. He’s a charismatic dude with a great attitude, witty lyrics, and a great ear for beats. Match that with 10+ albums and 30+ mixtapes and you have, dare we say it, a pretty legendary dude. Spitta’s found his lane and is in pilot mode. What else would you expect from a Jet Lifer? REVIEWS Review: Curren$y "Pilot Talk III"